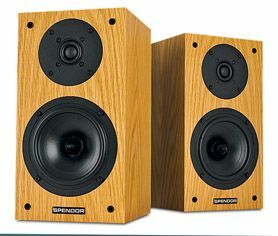 Spendor S3/5R2 review | What Hi-Fi? The Spendor S3/5R2s are a variation on a long-established and highly successful theme. Now isn’t the time to discuss the BBC LS3/5a mini-monitor – let’s just say the new Spendors have some lineage. Taken as a series of individual elements, there’s little here to find fault with. The wood-veneer cabinets are tactile, and the sealed-box design promises positional flexibility. In action, the frequency range is smoothly integrated from top to bottom: there’s plenty of detail dished up and no lack of good detail, transparency or clarity. The Spendors are dynamically competent too, though high volumes can affect their poise a little, and their well-judged tonality makes for a natural sound. The balance the S3/5R2s strikes seems entirely sensible. Shortcomings are slightly less tangible. Unlike some of its rivals, that immediately grab you by the lapels, there’s a rather aloof, dispassionate quality to the Spendors that suggests the excitement in a song like Little Richard’s Bama Lama Bama Loo is rather base. But just because it’s only rock’n’roll, that’s no reason not to like it.